Modeled after a pocketknife, this handy All-Purpose Pocket Saw packs a 6" heavy-duty blade to saw through tough materials, including wood and brick. 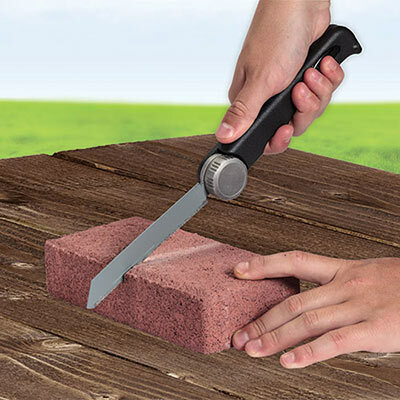 Plus, it never needs sharpening. Case-hardened aluminum handle with rust resistant comfort grip and two locking positions. Open, 12"l; Closed, 7"l.